More than 20% of New Paltz students take advantage of study abroad opportunities during their college careers, one of the highest rates in the SUNY system. 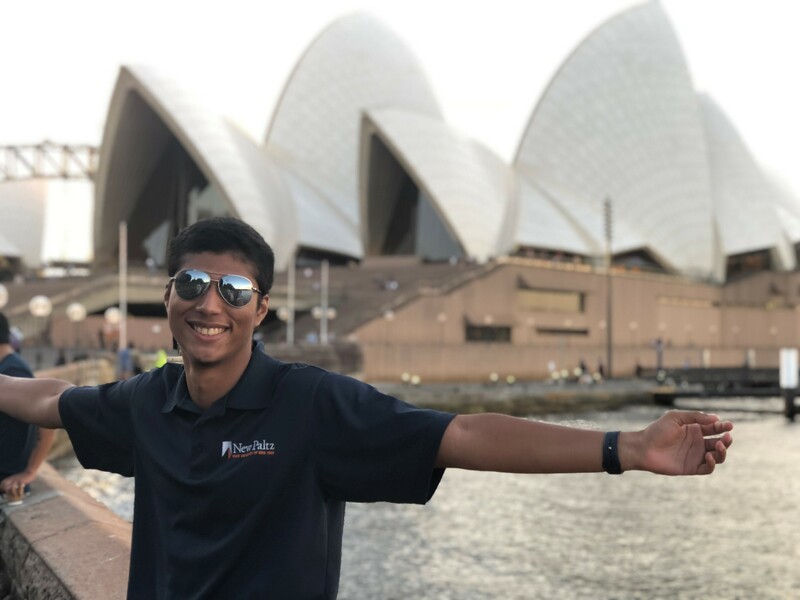 There are dozens of options to choose from, including the program that brought Joseph Vasquez ’19 to the Sydney Opera House in Australia. Find your international story at the Study Abroad Fair, Thursday, Sept. 6, from 11 a.m. – 3 p.m. in the Student Union Building.